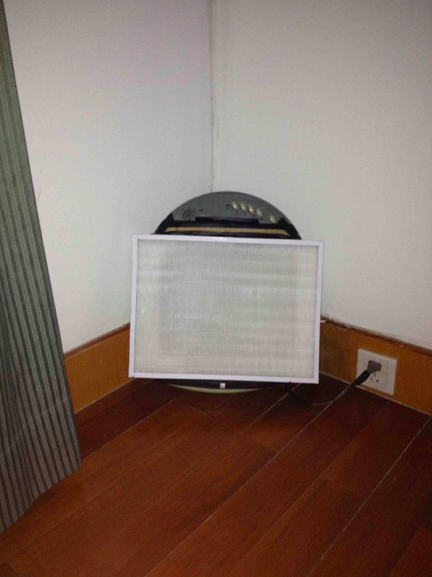 Adam in Suzhou sent me a picture of a creative solution to a filter problem. 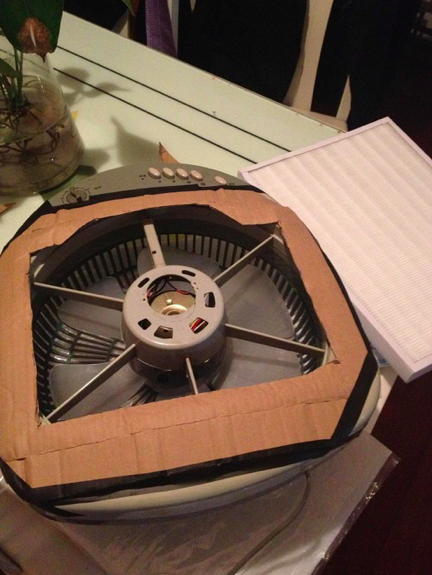 The fan he had at his house had an opening that was slightly larger than the HEPA. So Adam cut out a piece of cardboard to close up the edges. Great idea! Adam says, “It’s already turned slightly gray after one night! Q&A: Does the DIY consume less electricity than other purifiers?